We are the Products of Editing, Douglas E. Abrams, Precedent, Vol. 2, No. 2, pp. 12-14, Spring 2008; University of Missouri School of Law Legal Studies Research Paper No. 2008-18. How many of us take the time to proof and edit what we write? I suspect that most, if not all, good legal writers do it. No, I’m not talking about simply running a review of your grammar, style, and punctuation in Microsoft Word. I mean really reading, proofing, and editing what you write. When you write for the court, what is your goal? To be understood? Of course. To persuade? Absolutely. To do that, you must keep your reader’s attention. Long sentences that take up an entire paragraph, legalese, and unnecessary words are boring – period. Why would anyone want to read a quote takes up an entire page? Persuasive legal writing is an art. It takes work, and that means editing and polishing until your writing is clear, concise, and logically flows from one point to the next. Your goal, as I’ve mentioned before, is that, by the time your judge finishes reading your brief or other document, that judge is subconsciously nodding in agreement. As someone who has seen a state supreme court judge literally throw a party’s brief across the room because it was so badly written, I promise that judges will not waste time reading legal gibberish. If a judge finds one side‘s brief difficult to read, how much frustration does it take to put it down and pick up the other side’s well-written brief to get the facts of the case and legal argument? Folks, it doesn’t take much. Plain English Legal Writing – Proof Positive That It Works. ≈ Comments Off on Plain English Legal Writing – Proof Positive That It Works. Legal Writing – Why Shorter is Better. ≈ Comments Off on Legal Writing – Why Shorter is Better. Here’s a good exercise to promote plain writing and dense writing. The object is to force you to purge your writing of any words that don’t work their butts off on your behalf. Take the following sentence and reduce it to as few words as humanly possible, without changing the meaning of the sentence. Shortest re-write wins a prize (respect)! The Plain Language Argument Against Using Latin Legal Terms of Art. ≈ Comments Off on The Plain Language Argument Against Using Latin Legal Terms of Art. “Some lawyers and academicians attempt to justify legal jargon and “traditional” legal writing—legal writing that’s ‘wordy, unclear, pompous, dull1’ and even “wretched.’2 But legal jargon in contracts burdens all those who must deal with it: the parties to the agreement who try to understand it, lawyers who mistakenly think they must use it, and judges who have to interpret it. Legal jargon often creates ambiguity, and ambiguity invites litigation. Many legalisms have been fodder for courts to puzzle over, including herein, therein, hereby, and thereof; shall; and/or; and best efforts. However, some academicians, most recently Professor Lori Johnson of the UNLV William S. Boyd School of Law, have modernized old excuses for legal jargon and concocted new ones. Can these arguments withstand a reasoned analysis, or are they merely fanciful declarations from Wonderland? Another “How To” Really, Really Write Bad Briefs. ≈ Comments Off on Another “How To” Really, Really Write Bad Briefs. That’s right— he wants us to write terrible briefs. This surprised me too at first, but then he explained his new litigation strategy: suspecting that it might be more effective to ruin judicial minds than to manipulate them in his favor, he wants to use terrible writing to drive appellate judges totally insane. Writing a bad brief is easy enough, but writing a truly disastrous one—one capable of inducing madness—is a task requiring deliberate effort and careful study. Our greatest challenge may be a lack of helpful reference materials, for although there are several good books on the art of writing well, the craft of writing badly has been suppressed and maligned for far too long. In the hope of invigorating the persecuted art of infuriating prose, I offer this letter. It’s a meager beginning, but if you follow these eight rules to the best of your ability, your writing should be sufficiently misguided and maddening to serve our client well. What’s It Like In Your Judge’s Shoes? ≈ Comments Off on What’s It Like In Your Judge’s Shoes? In her article, Standing in the Judge’s Shoes: Exploring Techniques to Help Legal Writers More Fully Address the Needs of Their Audience, Sherri Lee Keene argues that lawyers writing as advocates need to place themselves in the shoes of the judges whom they seek to persuade. Of course, this is not new advice. What is helpful here is her advice on how to do it. Russ Guberman’s Six Editing Tips. ≈ Comments Off on Russ Guberman’s Six Editing Tips. Small wording changes can liven up your style by speeding up and punching up your prose. Let’s match wits with some of the world’s best judicial writers below. Or is that ‘with certain of the world’s most illustrious judicial draftspersons infra’? The Rules of Engagement: If a word or phrase is bolded in the first part of each set, the big guns didn’t write it. For each of those bolded terms, think of a lighter or shorter replacement before you peek below. Just Really Good Legal Writing. ≈ Comments Off on Just Really Good Legal Writing. This is a guide to good legal writing. Good writing consists of avoiding common clunkers and using simpler replacements. The replacements aren’t always perfect synonyms but 90% of the time they’re better than the original. Warning: Some changes also require grammatical twiddling of other parts of the sentence. This is not a guide to proper high English usage. We don’t give two hoots whether you dangle participles, split infinitives or end sentences with prepositions. We care that you can write clearly. Does Legalese Have A Legitimate Purpose? ≈ Comments Off on Does Legalese Have A Legitimate Purpose? Many lawyers are tired of hearing about legalese, and many still haven’t embraced plain language in their own legal writing and speaking. This post won’t try to change their minds. If Bryan Garner’s life work can’t convince lawyers, how can I? But there is another issue often lost in the plain-language wars: where did all these legalese words come from? The perception on both sides seems to be these words and phrases once served a purpose, but don’t anymore. But what if we discovered that they never served any purpose? . . . . The Effort to Make and Keep Patents Correct and Clear. ≈ Comments Off on The Effort to Make and Keep Patents Correct and Clear. The following is a post from Under Secretary of Commerce for Intellectual Property and Director of the USPTO Michelle K. Lee and was published on the PTO Director’s blog. Patent quality is central to fulfilling a core mission of the USPTO, which as stated in the Constitution, is to ‘promote the Progress of Science and useful Arts.’ It is critically important that the USPTO issue patents that are both correct and clear. Historically, our primary focus has been on correctness, but the evolving patent landscape has challenged us to increase our focus on clarity. Patents of the highest quality can help to stimulate and promote efficient licensing, research and development, and future innovation without resorting to needless high-cost court proceedings. Through correctness and clarity, such patents better enable potential users of patented technologies to make informed decisions on how to avoid infringement, whether to seek a license, and/or when to settle or litigate a patent dispute. Patent owners also benefit from having clear notice on the boundaries of their patent rights. After and after successfully reducing the backlog of unexamined patent applications, our agency is redoubling its focus on quality. We asked for your help on how we can best improve quality—and you responded. The Worst Legal Writing Ever? ≈ Comments Off on The Worst Legal Writing Ever? Clarity in Legal Writing: Unattainable Goal or Necessary Component of Effective Advocacy? The issue of clearness and conciseness in writing and preparing legal documents, e.g. court filings, pleadings, and motions and all other possible legal and ancillary documents is often a topic of discussion among judges and legal scholars. . . . Plain Language Examples – Before and After. ≈ Comments Off on Plain Language Examples – Before and After. There are a number of superior – and free – websites available to anyone who wants to improve his legal writing skills. PlainLaguage.gov is one of them. I doubt that anyone wants to write poorly. Often, just showing before-and-after examples improve writing skills. One of the most efficient ways I have found when teaching legal writing is to take a bad writing example, identify why it is ineffective or just plain silly, and suggest different ways to fix it. ≈ Comments Off on Plain Language Honey Pot. I have noticed that posts here on legal writing, legalese, and plain language are always popular. 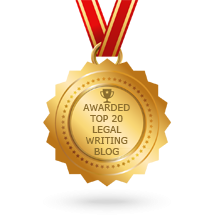 Here is a treat for you plain language lovers – a mixed bag of excellent plain language examples of legal writing. They include Pennsylvania’s statute requiring plain language for contracts, California’s plain language jury instructions, Martin Cutt’s classic, Lucid Law, and my personal favorites – two fantastic articles by Judge Mark P. Painter. ≈ Comments Off on Pleading Code In Poetry. Another article from the Plain English Subcommittee of the Michigan Bar Journal. As always, each article makes a case for using plain English in legal writing. This group has been, and remains, a strong proponent for elegant legal writing without legalese. clerk in through the door. Coming through my chambers door. . . . The Art of Well Written Judicial Opinions. ≈ Comments Off on The Art of Well Written Judicial Opinions. Asked to name the world’s best opinion writers, traditionalists might rattle off Lord Denning, Learned Hand, or Oliver Wendell Holmes. Modernists often prefer Antonin Scalia or Richard Posner. And the trendy might cite new kids on the block like Lord Sumption or Elena Kagan. Those august names all deserve heaps of praise. But the fame that these judges enjoy raises questions of its own: Can you write a ‘great’ opinion if you’re a judge who’s not a household name, or even especially influential? And can you write a ‘great’ opinion in a case that’s not a high-profile constitutional crisis, but just another run-of-the-mill dispute in an overflowing docket? I say ‘yes’ on both counts. No matter how routine a case, and no matter how little time you have, you can write a great opinion. It may not be ‘great’ for the ages, but it can offer readers a clear, accessible, and easy-to-follow analysis of your reasoning, with even a bit of flair or personality for good measure. . . . Plain English Jury Instructions Are Like A Breath of Fresh Air After A Long Trial. ≈ Comments Off on Plain English Jury Instructions Are Like A Breath of Fresh Air After A Long Trial. I often play the role of the ‘judge’ during a mock trial. In that capacity, I have the pleasure of reading the legal instructions to the mock jurors just before they deliberate. While I’m droning on about ‘preponderance,’ and ‘proximate cause,’ and making the plaintiff ‘whole,’ I am often met with quizzical looks as the jurors grapple with the language. Some have even made a vain attempt to raise their hands to ask a question. I sometimes wish I could explain, ‘Look, my point is not for you to understand this… it is just to be realistic.’ And, too often, what is realistic is for the instructions to be dense at best and incomprehensible at worst. ’Jury instructions are written by lawyers,’ the American Judicature Society points out, ‘and are often filled with legal language whose meaning is not apparent to those without legal training.’ . . . Legislative Drafting And Plain English – They Are Not Mutually Exclusive. ≈ Comments Off on Legislative Drafting And Plain English – They Are Not Mutually Exclusive. In my last column I gave kudos to the U.S. Supreme Court and its rules committee for rewriting the Federal Rules of Civil Procedure in plain language. But the fight goes on. Legislative drafting continues to be particularly egregious. . . .
We Have Proof! Clients Really Do Prefer Plain Language Over Legalese. ≈ Comments Off on We Have Proof! Clients Really Do Prefer Plain Language Over Legalese. According to an empirical study by Christopher Trudeau, the answer is yes. I think his 2012 article deserves greater attention–The Public Speaks: An Empirical Study of Legal Communication, 14 The Scribes Journal of Legal Writing 121 (2012) (here). In a carefully designed study, subjects compared passages written in plain English and similar passages that contained the failures that plain English attempts to eliminate. The study provides a good bit of valuable information. It also results in 10 practical pointers. First, do not underestimate the importance of oral communication. Over half of all respondents preferred some type of oral communication to written communication. Second, deliver written documents electronically even when you must send a hard copy. Third, use clear, understandable written communication. Fourth, do not assume that all readers will understand commonly used legal terms. Instead, define these terms if you must use them. Fifth, avoid complicated terms and Latin words. They generally bothered or annoyed nearly seven out of ten clients. Sixth, prefer the active voice. Respondents preferred it almost 70% of the time — and clients at a higher rate than non-clients. Seventh, avoid multi-word prepositions like pursuant to and prior to and with regard to. They are among the worst aspects of legalese. Eighth, remember that the more confusing the sentences become, the more likely that a reader will prefer plain language. Ninth — and this needs to be proclaimed repeatedly, ceaselessly— the vast majority of clients and non-clients prefer plain language. For the choice-of-language questions, readers chose the plain-language version 80% of the time. Finally, use plain language no matter what the reader’s educational level. Contrary to my original theory, as the level increased, so did the respondent’s preference for plain language. Ken Adams Shares What It Takes To Be A Great Contract Writer. ≈ Comments Off on Ken Adams Shares What It Takes To Be A Great Contract Writer. Know the deal mechanics. As a drafter, it’s your job to express the transaction in a way that advances your client’s interests most effectively. You can’t do that unless you’re aware of the full range of options for structuring the deal. I don’t mean to suggest that you yourself have to possess that information—it’s enough if you’re able to pick the brains of people with that information. Know the law. With some transactions, there’s no need for the law to rear its head in the contract. In other transactions, it would be appropriate, or necessary, for the law to feature in the contract. I discuss that in this 2013 post. As drafter, it’s your job to figure out what role, if any, the law plays in your transaction. Again, it’s enough if you can get that information from others. Follow a comprehensive style guide. You don’t follow a comprehensive set of guidelines for the building blocks of contract language? Sorry, you’re not a great drafter. You’re not even a good drafter. Instead, you’re parroting whatever contract language you copy, which is likely dysfunctional. You’re following conventional wisdom, which more often than not is bogus. Don’t throw at me your education, your reputation, your long list of publications, your compensation, your track record as a dealmaker. They’re all beside the point. Of course, the only set of guidelines out there is A Manual of Style for Contract Drafting, but don’t hold that against me. I’m not stopping anyone else from producing their own comprehensive set of guidelines. And following my guidelines isn’t rocket science. . . .
No Question About It – Bad Legal Writing Squanders Your Money. ≈ Comments Off on No Question About It – Bad Legal Writing Squanders Your Money. A recent article on FindLaw.com called Five Ways Attorneys Waste Money claimed that attorneys can cut clients’ costs by avoiding needless motions, staffing cases leanly, focusing on the important issues, avoiding petty spats with the opposition, and being smart about when to settle. But the article ignored the most important way attorneys can save money for their firms and clients: by learning how to write in plain English. Most attorneys don’t believe that writing style matters. They might concede that writing in plain English can be aesthetically pleasing to the reader; but they also say that it’s not worth the time to learn how to do it because there’s no evidence that writing in plain English saves time or money. But these attorneys ignore what legal-writing experts have taught — and what the empirical evidence has shown — for more than 50 years: that plain English saves time and money by increasing the ability of readers to understand and retain what they have read. . . .
“Know All Men By These Presents” — Who’s Getting All The Gifts? ≈ Comments Off on “Know All Men By These Presents” — Who’s Getting All The Gifts? Every time I see the silly phrase ‘Know all men by these presents,’ I think of Christmas. Perhaps a statement the Magi wanted to make about their presents for the Christ child. Nevertheless, I’m no expert on drafting contracts: on that subject, I defer to Ken Adams, who riffs on the silly phrase in this post. Can I get a witnesseth? Since 2002, The Hon. Paul J. Cleary has served as U.S. Magistrate Judge for the Northern District of Oklahoma. He has the joy of overseeing discovery in civil litigation. You could say that experience makes him an expert. “What we have here is failure to communicate.” Cool Hand Luke (Jalem Productions 1967). There is a famous scene at the end of the movie Blow Up2 where mimes face off in a tennis match using an imaginary ball and racquets. It reminds me of too many discovery disputes: I sit as the linesman, watching helplessly as the lawyers roil and argue between intermittent swats at imaginary objects. The fundamental problems that underlie most discovery disputes might be pulled from the pages of a marriage counselor’s handbook: Fear of commitment and inability to communicate. Lawyers won’t commit to a definition of the legal dispute: It’s not a simple breach of contract; it’s a contract, fraud, bad faith, conspiracy, racketeering case. The ill-defined nature of the dispute drives discovery into vast, uncharted territory. By the same token, lawyers responding to discovery requests won’t commit to a clear statement of what responsive documents exist and which of those will be produced. 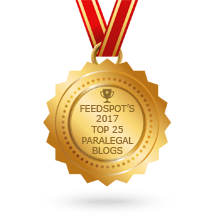 The purpose of this article is to examine the problem of inartful/incomprehensible discovery requests and responses and to offer some observations and, perhaps,some solutions. . . .
Rewrite Legalese – This Is How You Do It. ≈ Comments Off on Rewrite Legalese – This Is How You Do It. ≈ Comments Off on Top Posts for 2014. Android Users – Good Advice And Alternative Options For Google Calendar Sync. Peter Martin’s Introduction to Basic Legal Citation — An ALWD and Bluebook Cheat Sheet. Legal Ethics Head’s Up – Don’t Get Drunk, Move A Dead Body, And Lie To Police. What The Heck Does “SS” In An Affidavit Mean Anyway? Plain English Tools include Gobbledygook Generator. Please Use Electronic File Naming Conventions! Sayeth or Saith? Actually, It’s Neither.